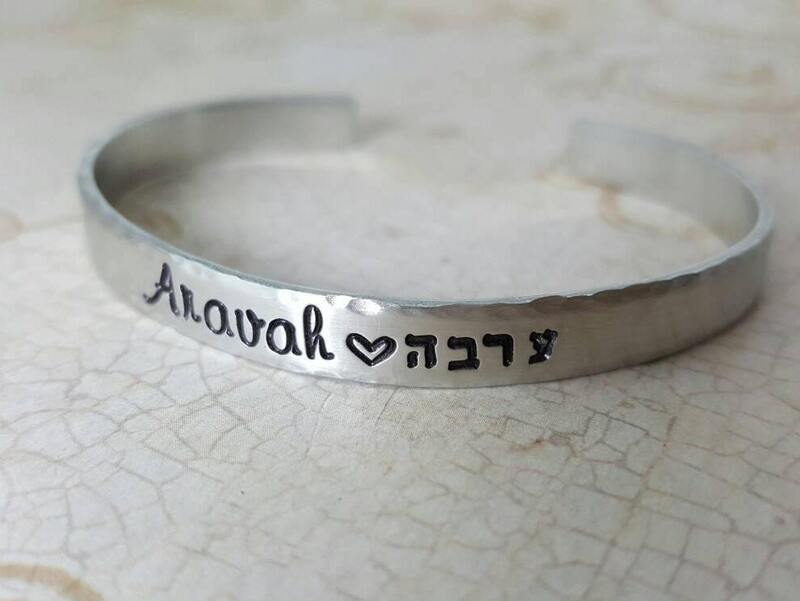 Your pewter cuff will be hand stamped with names of your choice in Hebrew and English. 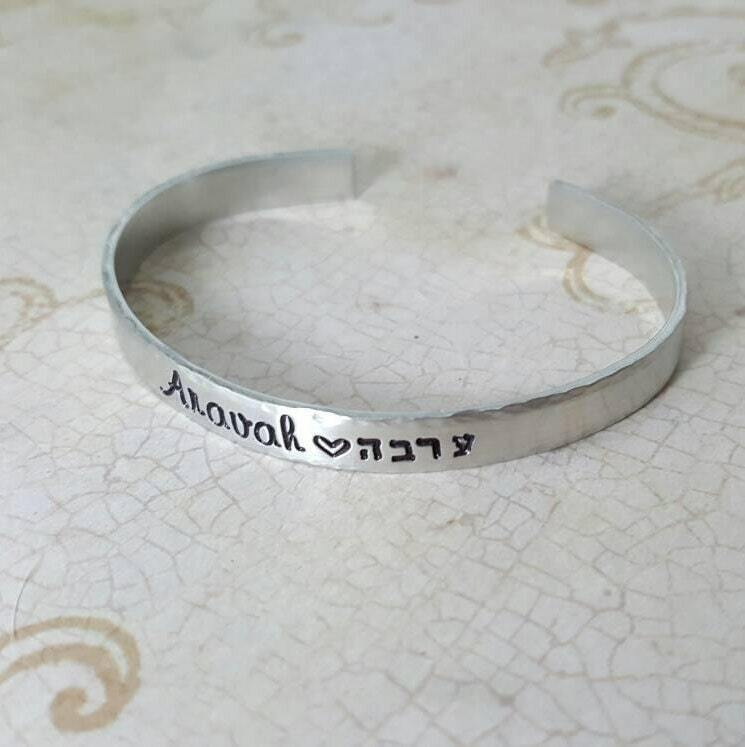 In the center of the names a small heart will accent. The cuff's edges will be hammered for a bit of texture; the cuff itself has a brushed and inked finish, for a bit of a rustic look. 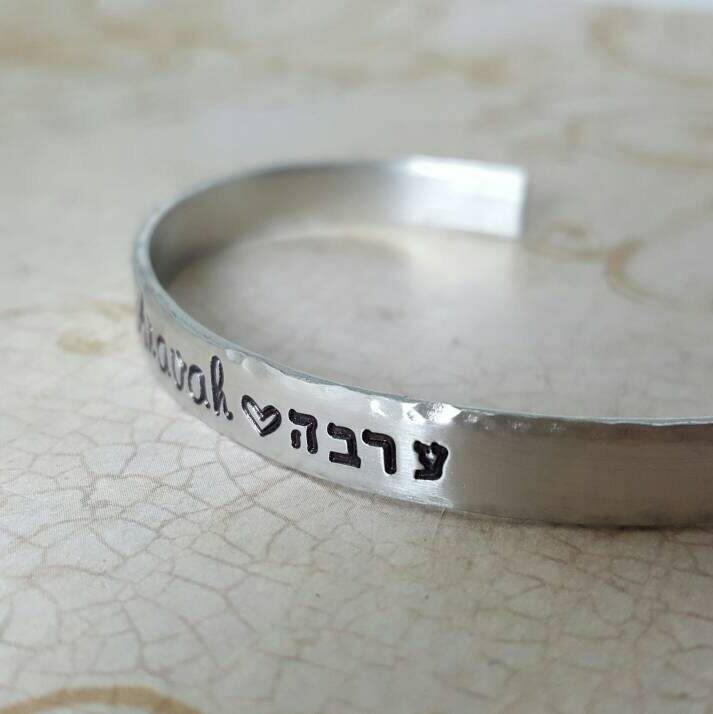 The fonts used are my Sadie Font and Classic Hebrew Block. Please note names in the 'note to seller' provided at purchase. 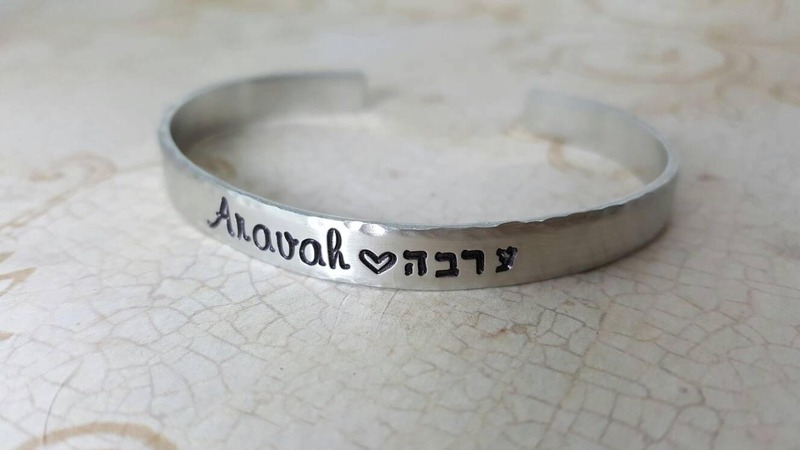 Please also note bracelet length if you would like shorter than 7-7.5" (standard). For pre-teen or petite woman/girls I would recommend at 6.5" cuff, however pewter is very malleable and the cuff is moldable to the wrist.